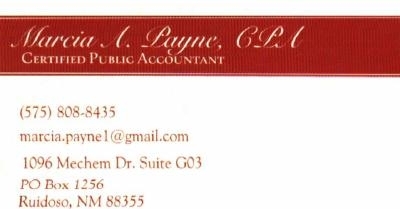 Marsha Payne CPA, PC provides the finest in all of your financial accounting needs, including Oil and Gas interest. This organization primarily operates in the Accounting, Auditing, and Bookkeeping business / industry within the Engineering, Accounting, Research, and Management Services sector. This organization has been operating for approximately 5 years. Viewed: 3018 times. Visited: 0 times.